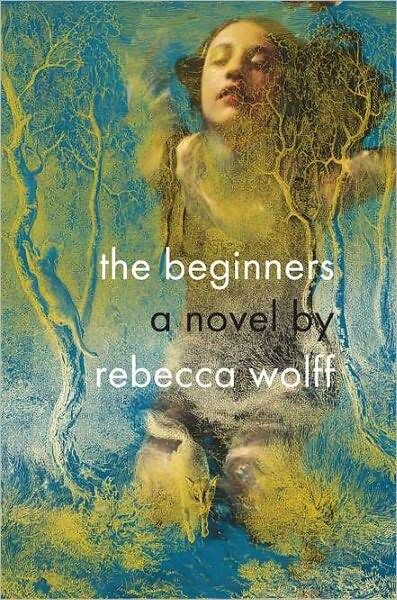 Award-winning poet Rebecca Wolff's new novel The Beginners* is somewhat frightening, yet beautiful. Her prose is indicative of a poet's hand, metaphors running from one waterfall to the next with ease. It's the uber-typical story of a teenage girl's sensual and sexual coming-of-age in small-town-America. This paradigm is complicated by, first, the fact that this small New England town has a relatively grotesque history and, second, the appearance of some newcomers (the Motherwells) who take an immediate and unshakable interest in our young protagonist, Ginger Pritt. It is never entirely clear why the Motherwells choose this town, nor why they pick on Ginger. They change their story at every turn, but the constant seems to be a relation to the Salem Witch Trials. While this should add a sort of creepy sheen to the already strange tale, the fact that their stories are never straight only leads to more and more confusion. As far as sexual awakening stories go, Ginger Pritt's is a bit extreme. But the reader's concern for her well-being is hindered by the jaded narrative voice which seems to come directly from the author rather than from Pritt. Ginger, whether by "bewitchment" or not, seems to lack a moral compass, and her continual forays in the wrong moral direction create a void in which the reader never finds catharsis. As far as poets' adventures into prose narratives go, I think I've got to give Rebecca Wolff a B- on this one. She manages the feelings of teenage angst and the disproportionate sense of abandonment that goes with it, but she never quite captures any of her characters in full and, instead of applying these qualities to people, they instead seem to be broader qualities of the town. Had Wolff committed to that concept, this book might have a chill to it, worthy of M. Night Shyamalan. But she didn't, and (sadly) it doesn't. *Just to be clear, this is book has no relation to the recently released Mike Mills film, "Begginers" starring Ewan McGregor and Christopher Plummer.